Arsenal manager Arsene Wenger is on the lookout for a new striker ahead of the upcoming season to improve his options up-front. 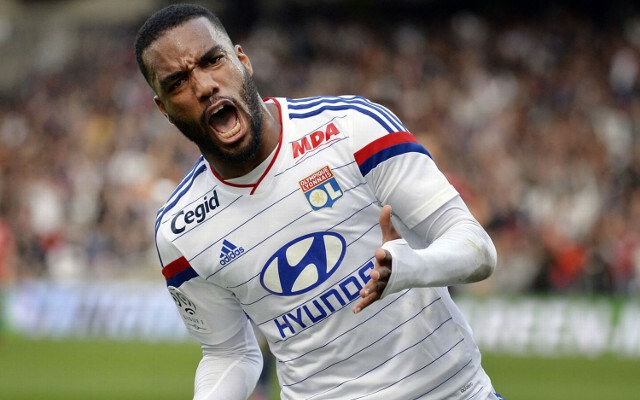 According to The Sun, the French manager has held talks with both Lyon and Alexandre Lacazette’s representatives. The daily tabloid paper goes onto state that the Lyon striker will be available for £38 million. However, the Sun also claim that the French international is Wenger’s second choice option behind Everton’s Romelu Lukaku. Wenger has been keeping tabs on Lacazette for an extended period of time and has personally watched him play for Lyon on numerous occasions over the past few seasons. Lacazette has scored 23 goals and provided four assists in 44 appearances for Lyon in all competitions this season. The 25-year-old has racked up a total of 72 goals in 172 appearances for the Ligue 1 giants since graduating from Lyon’s academy in 2010. The pacy striker was left out of Didier Deschamps national team squad which will take on Germany in the semi finals on Thursday evening.